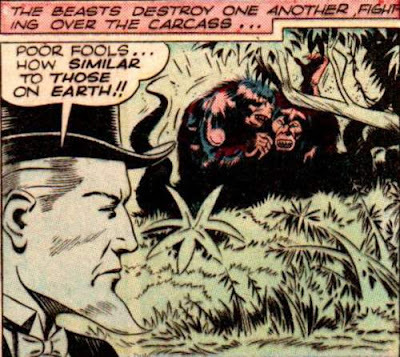 You're right, Uncle Sam - two ape-monsters fighting each other overtop of a corpse they want to eat is just like World War 2. Brilliant observation. Coming Soon - A New Novel from Count Vardulon! Wow, was the film ATM stupid.